On DrawingForAll there are drawing tutorials about almost all the characters from the series Family Guy. 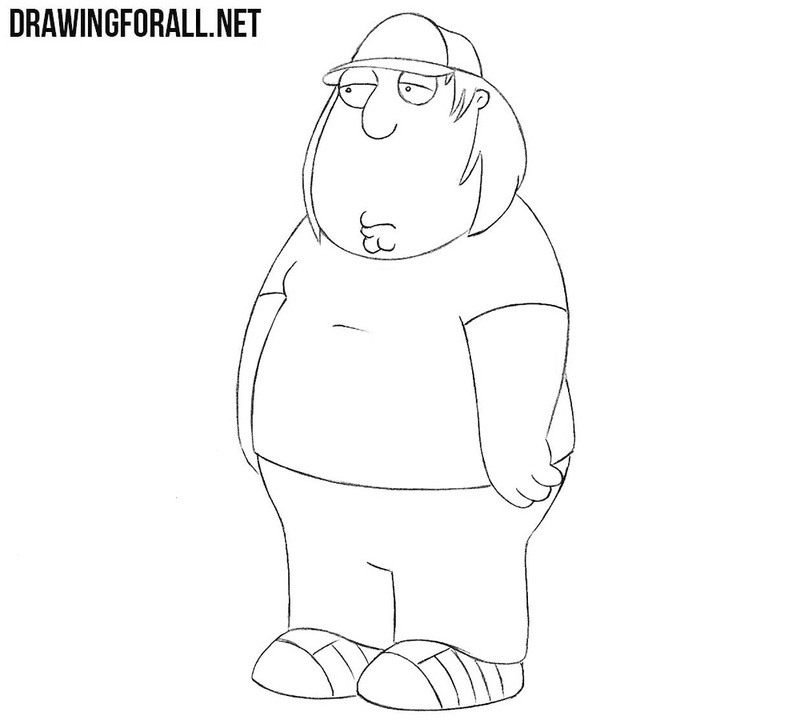 In the current lesson about this famous family we will tell you how to draw Chris Griffin. All our tutorials about the characters from this and other well-known animated series are very simple and divided into many very simple steps so that any reader of our site can handle them, and this tutorial in no exception. At first using very simple and light lines sketch out two figures that look like eggs. 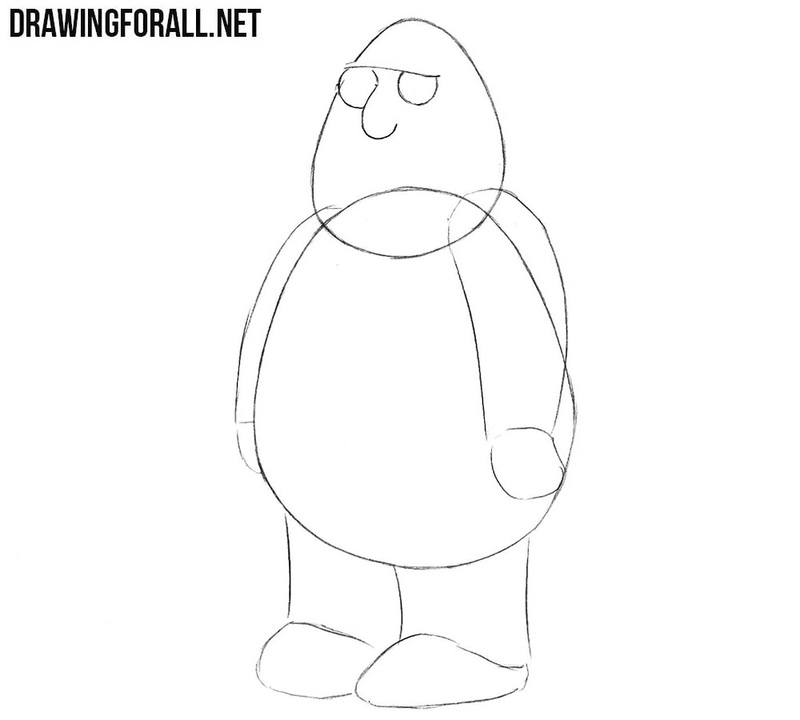 Now, with the help of such light lines sketch out the arms and legs of our character. 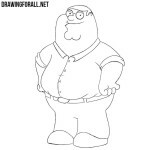 Now, with the help of two rounded lines draw out the eyes. Next, outline a rounded nose. Now draw out a cap on the head. In the eyes we draw eyelids and eyes. 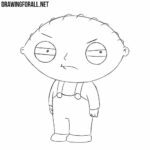 In the lower part of the face we draw out a mouth and a small chin. Now with the help of long and slightly curved lines draw hair sticking out from under the cap. An extremely simple step of the lesson about how to draw Chris Griffin where we draw a chest and rounded belly. This step will be a little more difficult. 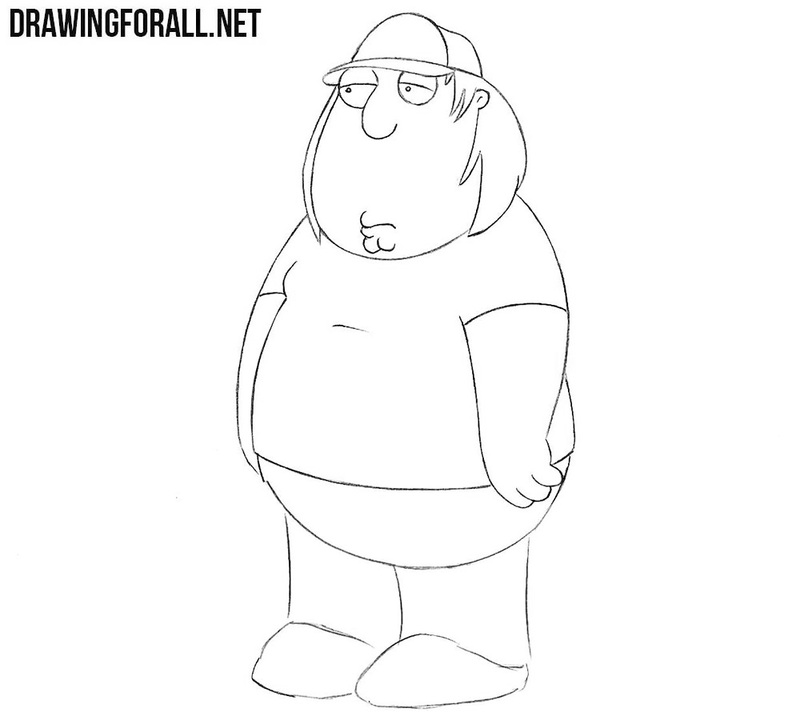 Here we need to draw fairly large arms and the bottom of the T-shirt. And in the last step we draw out the lower part of the torso, legs and shoes. Do not forget to draw all the lines on the sneakers. 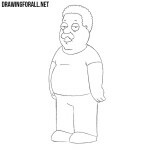 e said earlier, we drew almost all the important characters from the Family Guy and many other animated series. 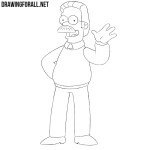 And all these drawing lessons you can find in our category “Cartoons” or through the search field on our website. If you suddenly did not find the desired lesson on our site, then write to us about it, and we will make a lesson for you.